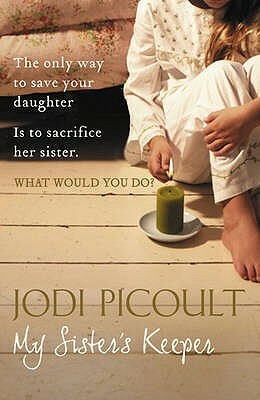 Just like Kristin Hannah, Jodi Picoult writes books that have only entered my reading spectrum in the last two years. And just like Kristin Hannah's books, I have had nearly all of Jodi Picoult's books on my wishlist. Unlike Kristin Hannah however, I have only bought one book - "My Sister's Keeper". It seemed like the best starting place and I figured that I would see how I like it and could add all the other books later on. Now I am glad that I did, because while I did like the theme, the writing was "just" alright, and I will check out the German translation from the library if I want to read another one. I have thought about why I made different choices for these two authors when I hadn't read anything before, but I have absolutely no idea. Apparently I decided this purely on instinct, and boy did it work.